As an active economic region, Guangdong is a hot destination to business travel. 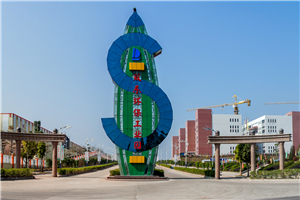 Luoding Shuangdong Environmental Protection Industrial Park is located in Shuangdong Town, Luoding, Yunfu City, near Luoding-Yangjiang Expressway, and Guangzhou-Wuzhou Expressway Luoding Exit. It is only 2.5 kilometers away from Luoding Railway Station, possessing convenient geographical conditions and transportation. Luoding Cinnamon Demonstration Base is situated at the Jiuzhangtang Road, Shanhe Village, Tanbing Town, Luoding, Yunfu. It covers an area of 2,000 mu (about 330 acres) and has 450 farmer households. The Base sets an example for the other 9,000 farmer households in Tanbing Town and leads them to expand 12 thousand-mu plantation of cinnamon. Established by Luoding municipal Party committee and Luoding municipal government, Luoding Cinnamon Pavilion is located in Tanbing Town, the main producing area of cinnamon in Luoding, covering an area of 400 square meters. As the core commercial zone of Yunfu City, Yuncheng District features complete supporting facilities, advantageous and unique investment environment, smooth and excellent service system. Yunfu Kangli Stone Industry Industrial Park is located at Silao Town of Yuncheng District, Yunfu City, with a total investment of 3.8 billion yuan. The industrial park is comprised of stone products exhibition zone, raw material trade and processing center, etc. China Yunfu Stone (Transfer) Base is located at Antang Street, Yuncheng District, Yunfu City. Covering a total area of approximately 2,044 mu, invested and constructed by Yunfu Xincheng Investment and Construction Co., Ltd. The total investment of the base is 380 million yuan. China · Yunfu International Stone Industrial Town is invested and constructed by Beijing Northern Investment Group, and is located at Sila Town of Yuncheng District in Yunfu City. Covering a floor area of 3,000 mu, the total investment if 5 billion yuan. International Stone Exhibition Center of Yunfu City, with a total investment of 8 billion yuan, brings together the culture, study, exhibit, exchange of stone, and also the tourism and accommodation. 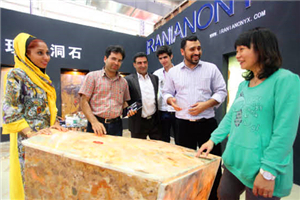 So far, it is the biggest international stone exhibition center in Asia with complete facilities.